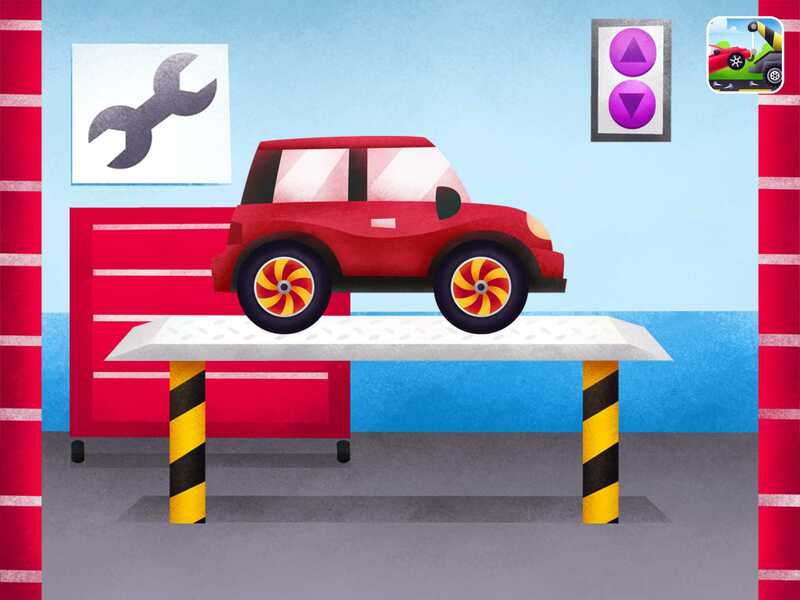 Kids fix flat tires, tow broken-down cars, sort trash from the garbage truck, and more in this truck-based activity app for preschoolers and kindergartners. 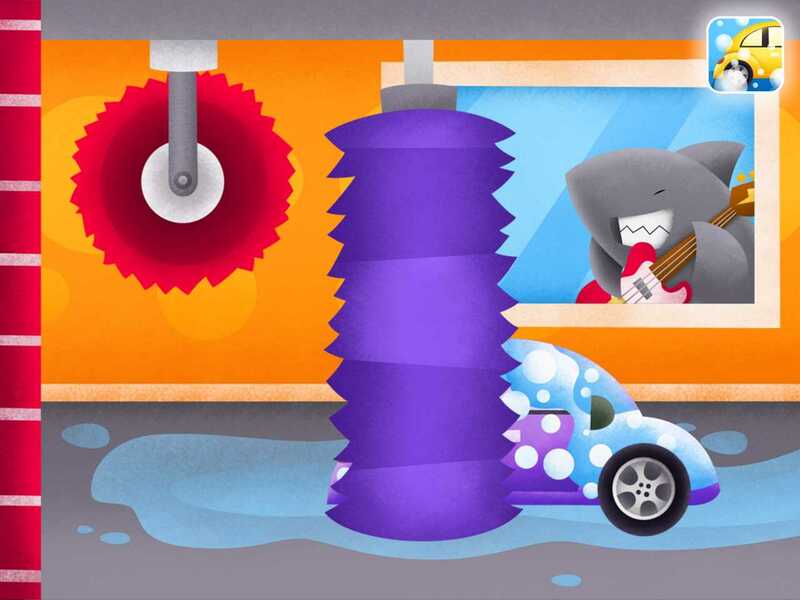 If you have a truck-lover, don't miss this fun app full of five activities involving all kinds of trucks. 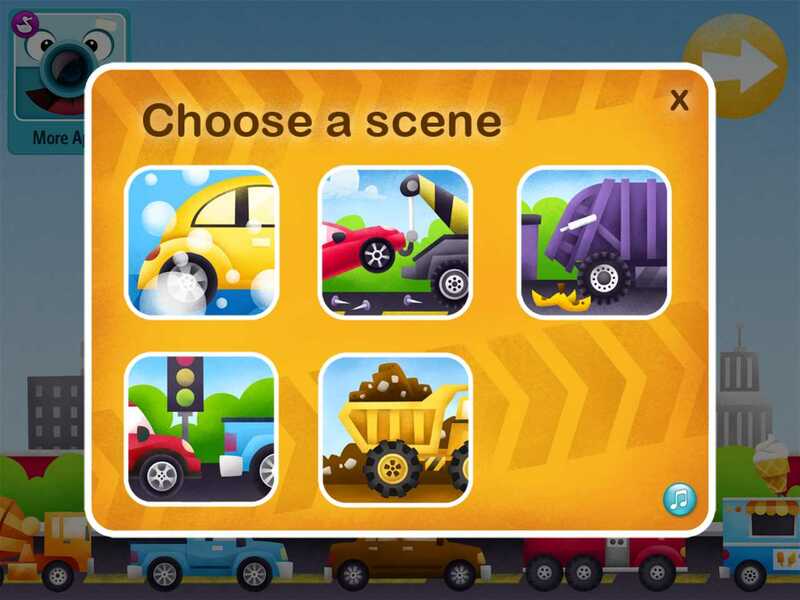 Truck- and car-loving kids can explore five different activities from within this app. They can run a car through the carwash; tow a car and then fix its flat tire in a garage; help a garbage truck to sort trash; watch and interact with a parade of vehicles; and drive a dump truck and front hauler at a construction site. Most of the activities within Trucks - by Duck Duck Moose involve touching a vehicle to make things happen. Kids learn the order of things, whether it is how to change a tire or what to do when a dump truck gets full. 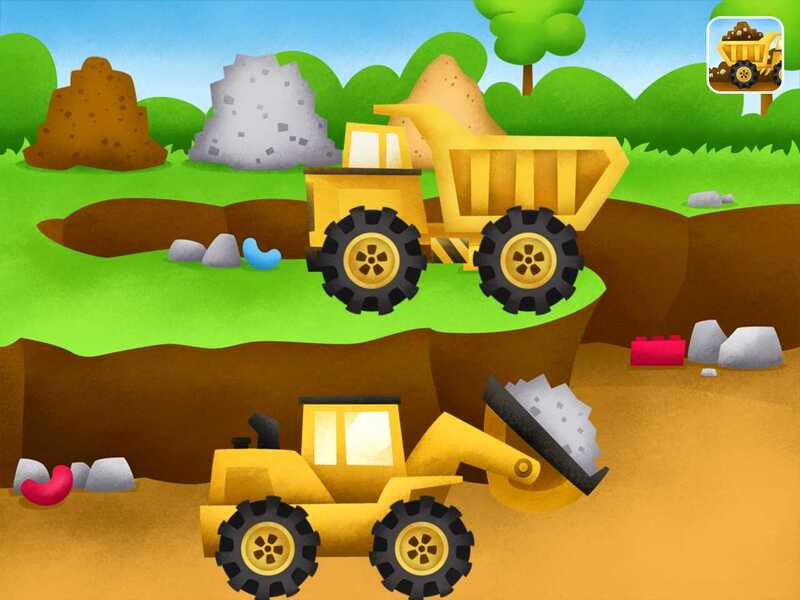 If your child can't get enough of trucks, this is a great app to download. 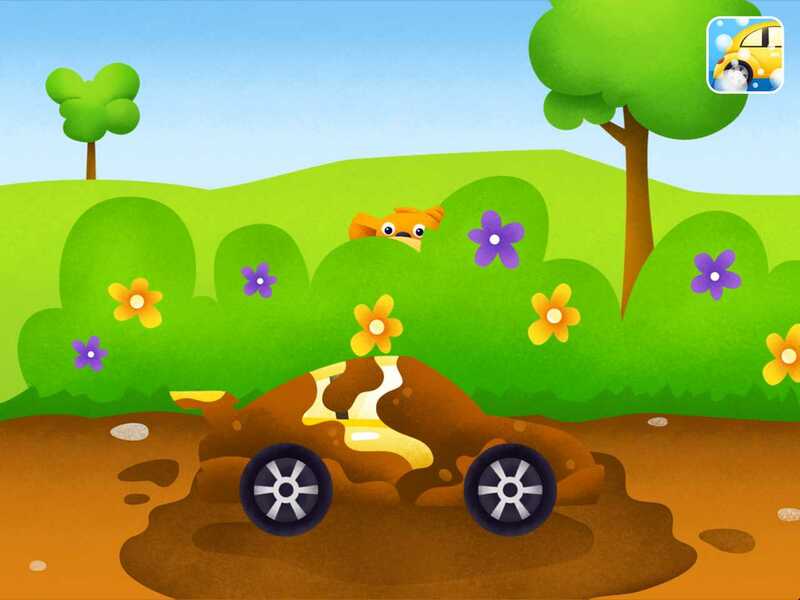 In some of the activities, kids learn the order in which to do things -- such as the play involved in the carwash and with the bulldozer and dump truck. In the activity with the garbage truck, kids learn about sorting trash and recyclables. With the car and truck parade, kids can experiment with touching the street signals to control the speed of the vehicles. Accompanied by fun music featuring popular children's songs, this app provides a heyday for kids who love all things that go "vroom." Trucks - by Duck Duck Moose is perfect play for truck-loving toddlers and preschoolers.